Kevin Durant and Russell Westbrook face off for the first time in Thunder vs. Warriors Pt. 1 tonight and we have an inclining that you might want to turn on TNT tonight at 10:30PM EST. 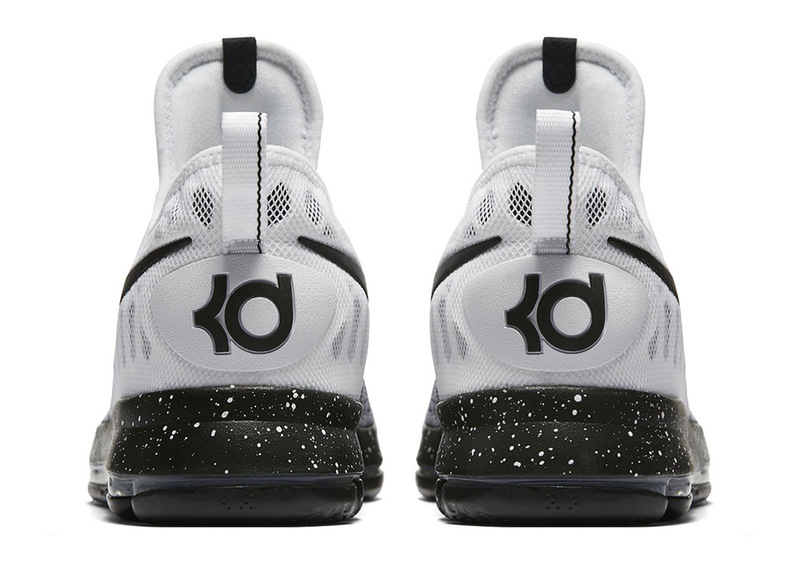 The Nike KD 9 has been featured in a number of PE colorways already, usually in a vibrant combination of the Warriors’ royal and yellow colors, but in terms of retail releases, the best colorways have used stark contrast and minimal vibrancy to look as good off-the-court as on it. 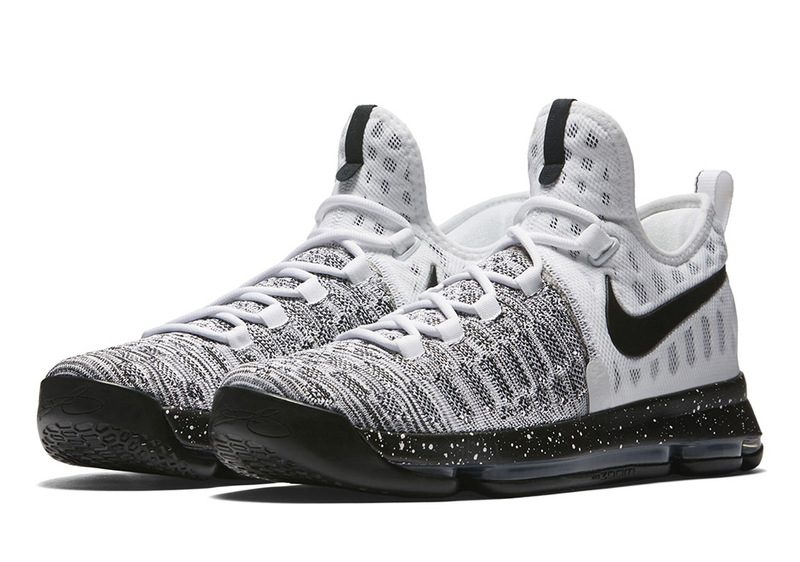 We’ve already seen the Nike KD 9 “Oreo” release this past summer, but now another Nike KD 9 White Black release will be arriving at retailers this December 15th for $150 USD. 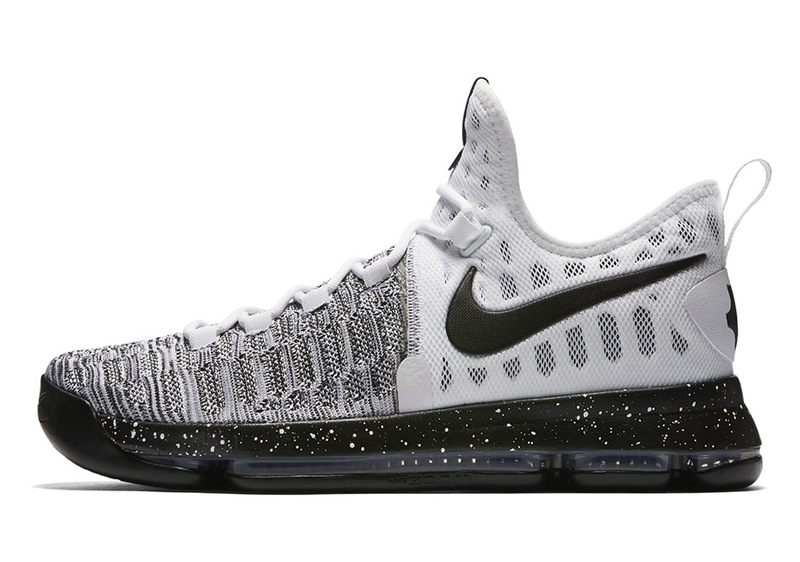 The KD 9 benefits from a molded Flyknit upper with a 3/4 length Zoom Air cushioning system for a comfortable ride that still allows for a lightweight feel allowing for quick cuts and signature impact absorption. 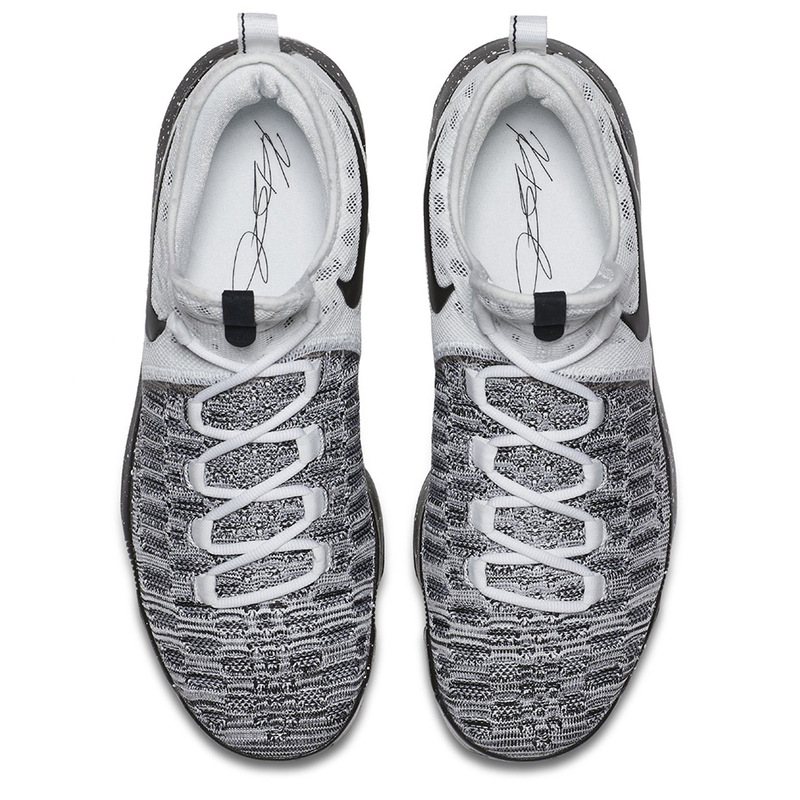 If the first “Oreo” take wasn’t for you, there’s something to be said about the “Home” version displayed here as a marbled black and white toe and forefoot gives way to a ventilated white heel to contrast the speckled black midsole. 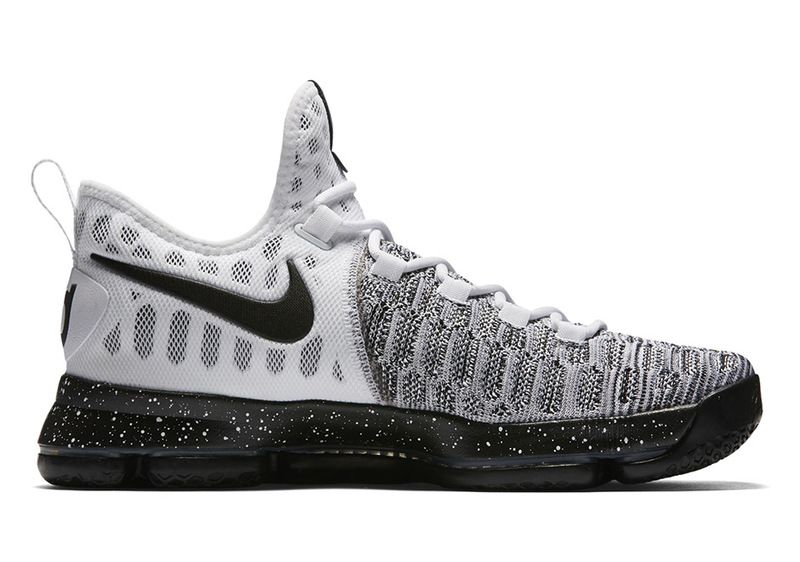 What do you think of the Nike KD 9 White Black? 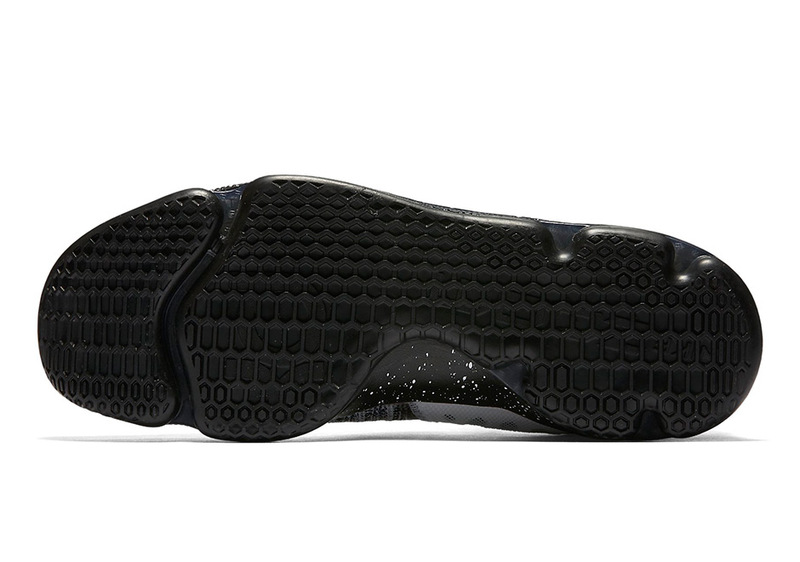 Check out more detailed photos after the break and stay tuned for more release date updates right here on Sneaker News.